Feb 28 'Round the Hood: Interesni Kazki "Visit of Saturn"
Surreal art duo, Interesni Kazki, have made a massive impact in street art over the past few years with their bold hues and whimsical imagery. 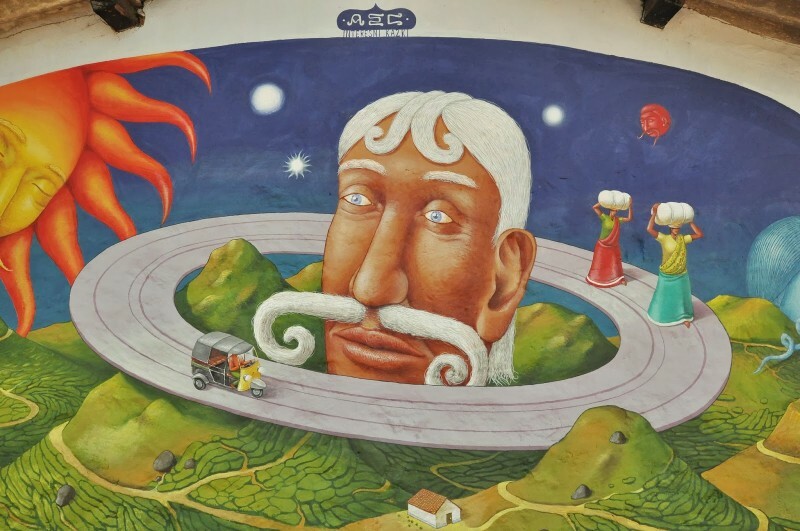 Traveling extensively throughout the world, AEC and Waone have donated art to the streets of Puerto Rico, Moscow, Poland, and Mexico (to name a few). Recently, they've journeyed to the Kerala area of India on a quest to create a series of murals inspired by the local culture. 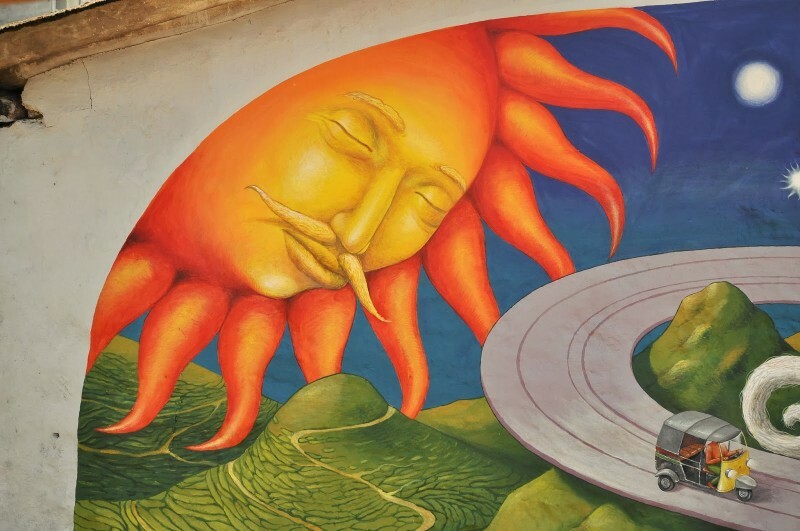 Their latest mural titled "Visit of Saturn" depicts the hilly landscape becoming one with the universe. 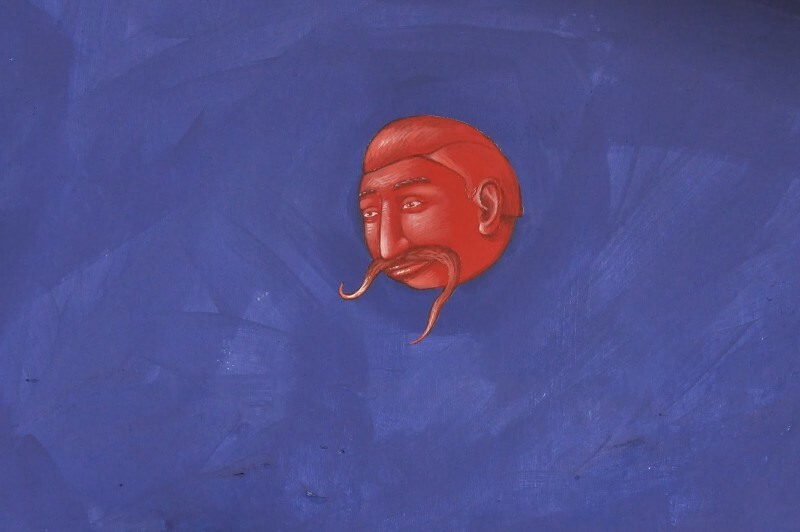 The anthropomorphic renderings of stars and planets along with the portrayal of daily rituals suggest that the locals are more in tune with their natural surroundings than us Westerners. This connection could arguably be due partially to their quiet and non materialistic lifestyles. The result, however, is undoubtedly beautiful and serene. 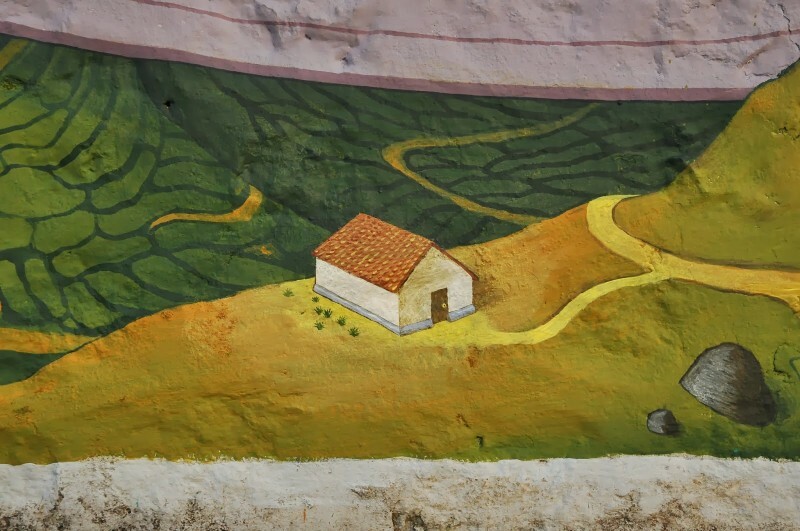 Here's a look at a few detailed images of the mural via the artists' blog.